Are Meal Kit Delivery Services Good or Bad for the Environment? If you've ever ordered a meal kit from Blue Apron or Plated or Hello Fresh or one of the many companies in the business of mailing boxes of ingredients and instructions, you've probably had this experience: A large cardboard box shows up on a delivery truck from one of the company's few distribution centers around the country, filled with ice packs and insulation (to keep the produce cold on its long journey), and many, many small plastic packages of food. Once you cook the three meals, you're left with, well, lots and lots of garbage. And if Blue Apron, for example, is really delivering 5 million meals per month, then that adds up to a significant amount of waste overall. This visible reminder of the environmental impact (combined with some bad publicity and a few screeds on the internet) has caused enough concern that most of the major meal kits delivery services are attempting to make their products more sustainable. 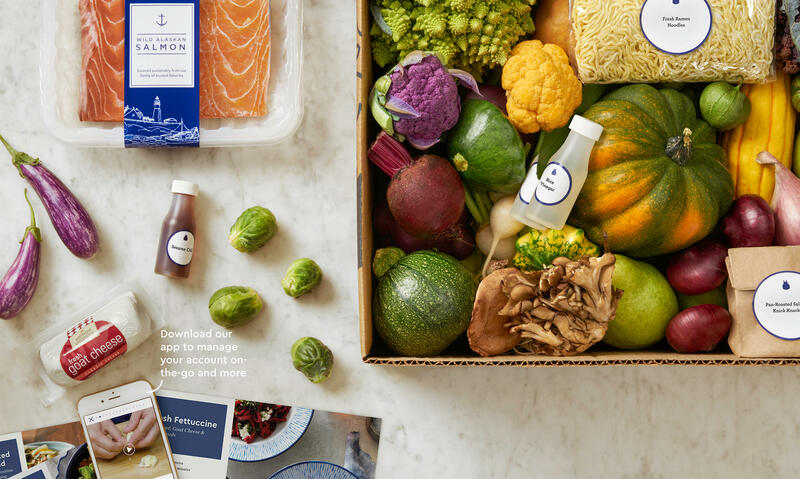 "We know there is a lot of concern about the packaging impact associated with the meal kit category," said	Blue Apron spokesperson Allie Evarts, by email, "and we are committed to leading the industry in finding sustainable, scalable solutions." "All of our packaging materials are chosen with environmental impact in mind. Our packaging is recyclable, and we offer customers the option of returning our packaging to us for recycling free of charge through our returns program," she said. You're a conscientious consumer. Once you're done cooking, you want to recycle or reuse the plastic bags and containers. 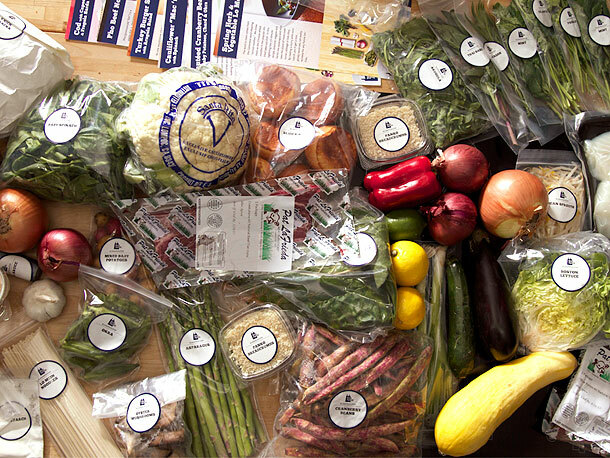 And Blue Apron outlines a number of ways its boxes, ice packs, and containers can be reused. This does work for a certain number of shipments, but after so many weeks you really don't need any more ice packs. Next, you try to recycle. The cardboard boxes can be broken down and put in the recycling. Hello Fresh's boxes are made from "non-recycled cardboard to provide sturdier support during transport," said a spokesperson, and the box insulation is made of recycled cotton, plastic #4, and kraft paper or, in the winter, it's made of mylar and plastic #4. The company is also testing new box materials in some locations. Plated has similar efforts, though it's insulation materials are largely compostable. For the many of the major companies -- I've tried both Blue Apron and Plated -- it can be difficult to actually recycle their recyclables. 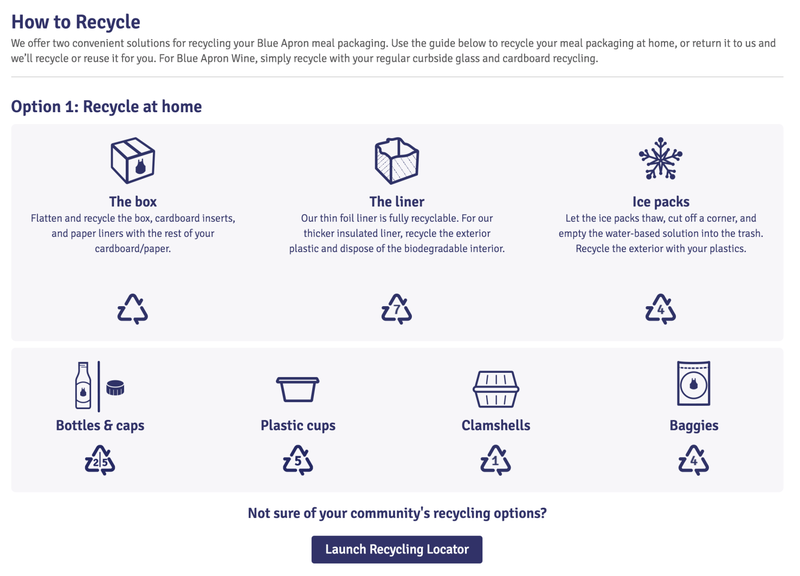 Blue Apron has also launched a returns program, so you can put all the packaging from a few shipments back into one of its boxes, print up a label, and mail it back for them to recycle. Even if you went to the store or farmers market yourself, you'd likely have some packaging and trash anyway -- unless you're very mindful of always bringing your own bags. For the meal kit delivery services, the larger environmental impact may come from all the shipping food back and forth across the country. Blue Apron, for example, has just three distribution centers: one in Richmond, one in New Jersey, and one in Texas. HelloFresh also has three distribution center in those same three states. That means it's entirely possible, for example, for a customer in Georgia to be getting food that was first shipped to New Jersey and then back to them. All those trucks driving around also requires more ice packs and insulation to keep the food fresh -- making the boxes heavier, requiring more energy to ship, etc. "We are not able to provide a metric for how far food travels between our fulfillment centers and customers’ homes, but we have developed a delivery network that optimizes outbound logistics to ensure the most efficient, timely and safe delivery of our orders," said Evarts. To a degree, the only way to avoid this is to always get food locally -- which isn't scalable necessarily and makes it harder to create efficiencies and profitability. On the plus side, for these services, food production is incredibly resource-intensive, and yet, left to our own devices, we waste huge amounts of food. It seems reasonable that many meal kits, by providing only the amounts of food you need, cut down on overall waste. You're less likely to throw out potatoes that went bad because you never used them, if you have only the exact number you need and exact directions on what you need to do. Blue Apron did sign on to the U.S. Food Loss and Waste 2030 Champions pledge from the EPA, which aims to cut down waste by 50 percent by 2030. Evarts also said the company donates any surplus food from its fulfillment centers to local food banks. Here, from its Richmond center, that food goes to the SF-Marin Food Bank. 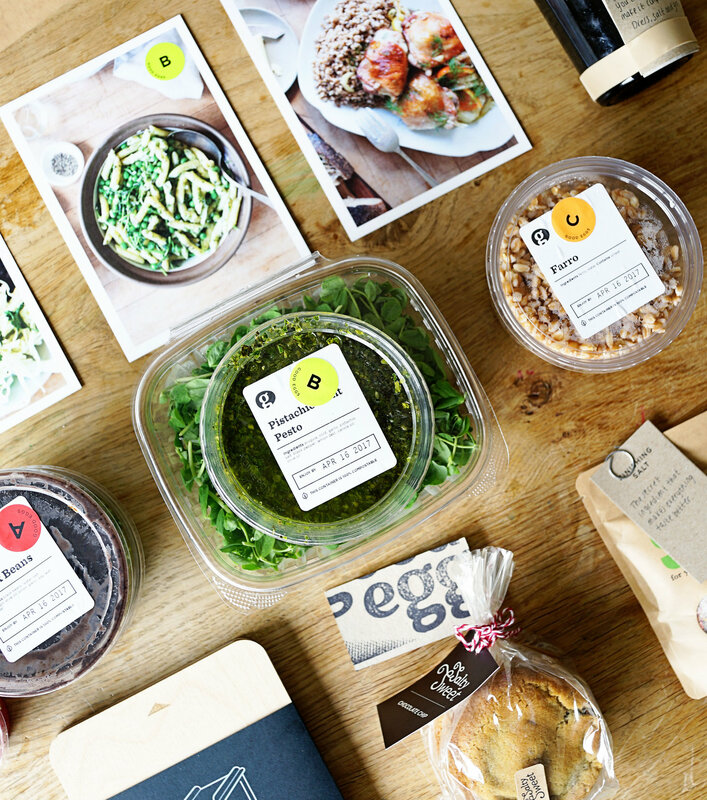 Good Eggs, the Bay Area-based farmers market delivery service, launched its own meal kits last week. Given that their customer base would not be receptive to perceived excesses of waste or consumerism, the company has made an effort to eliminate much of the packaging and capitalize on their local roots. As Andrew Johnson, the company's creative director, said, "Our users know what a carrot is." You won't find plastic bags labeled "carrots." That makes sense, but does it really cut down on the environmental costs? I tried Good Eggs' new service this past weekend. It came in one small cardboard box and a regular paper grocery bag. There were fewer plastic bags and excess paper. Because it comes from San Francisco directly, the company doesn't have to use insulation -- there was nearly none -- or ship the food as far. Largely, things came either without any packaging -- a lime is a lime -- or in plastic containers, which seemed slightly easier to recycle or reuse than small plastic bags. There were also no extra bags holding together all the ingredients for a given meal and fewer paper instructions. 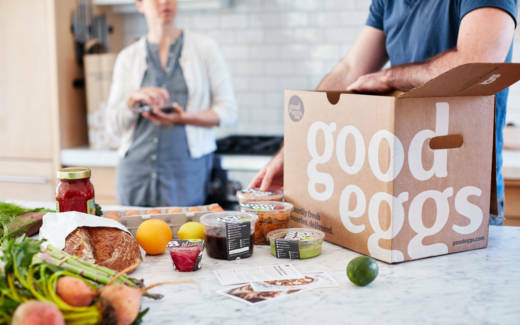 Good Eggs also already has vans out on the road, with its regular deliveries, and it doesn't contract with a third-party delivery service (like UPS or FedEx), which gives it slightly more control. That means that if you want to return your packaging, you can simply leave it in front of your door during your next delivery and they'll take it back. Given that Good Eggs' roots are in delivery for local farmers and farmers markets, it makes sense that 85 percent of its food comes from nearby. But that makes it harder to scale. If the company wants to expand beyond the Bay Area, they'll have to re-create similar local-based networks in other towns. "The way we scale local food is to make it more accessible," said Johnson. Given that Good Eggs previously had to layoff people and cut its services outside San Francisco, this will be a challenge. While most of these services are contracting with sustainable providers -- Blue Apron just acquired BN Ranch -- there's a degree to which surviving in the competitive industry on a large scale requires efficiency and standardization. Already, the space is struggling to keep customers and stand out in the crowded field. Evarts said Blue Apron's goal is to "build a better food system." Good Eggs staff, too, outlined a vision for the future where delivery vans go door-to-door, like the milkmen of old, and drop off just the food you need for the week, fresh from the farmer. Ultimately, this would make it easier for people to eat sustainably and locally, and would be better for the environment than each of us individually driving to the store, buying more food than we need, creating waste, driving home, and throwing out the extra food. 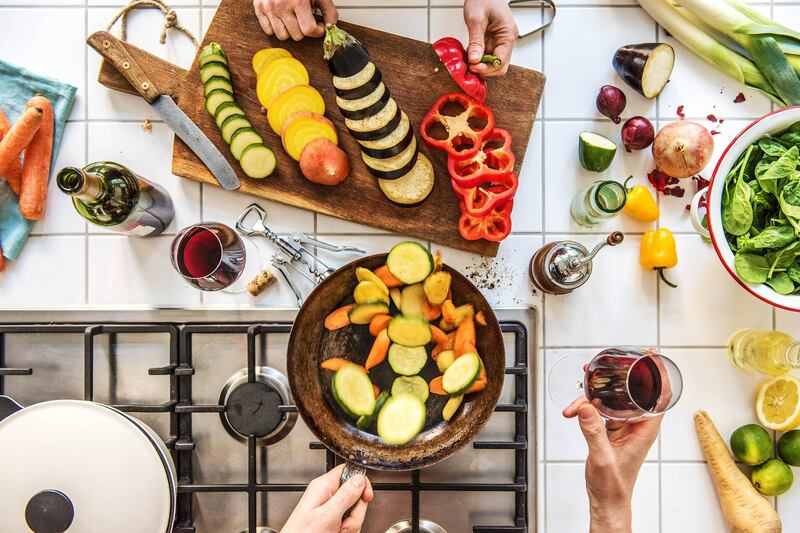 It's also better than ordering takeout or restaurant delivery, which Good Eggs staff noted research suggests is what most of us actually do when we don't have time to prep and cook a locally-sourced, sustainable, healthy dinner. But when I asked if it's more environmentally friendly right now to use their meal kit service or to do all your shopping individually yourself, they paused. "That's an interesting question," said Dani Fisher, Good Eggs' head of marketing. Maybe the other question is: What's the alternative? Would you really go shopping, or would you just order takeout? Then, which one's better for the environment?